In London’s West End there was an underutilized path which later transforms into world’s first energy-harvesting smart street. The entire street is made from PaveGen’s power-generating pavement. The clean-tech company has installed in the Bird Street a 107-square-foot array in order to convert footsteps into electricity. The arrangement also includes Bluetooth Low-Energy transmitters for the users to interact with it via apps. The apps will also show how much energy their footsteps are harvesting which will translate into gift vouchers, discounts and most importantly, clean energy. PaveGen installed a custom flooring system with wireless transmitter that allows it collect the data from the tiles. 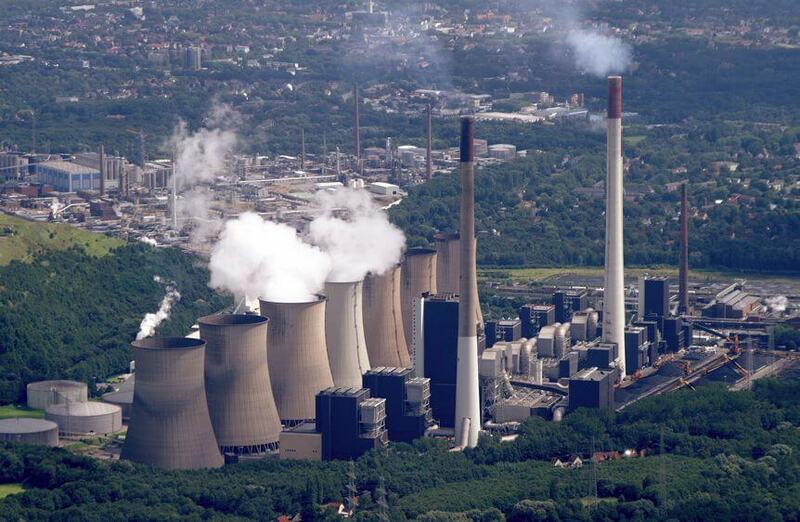 The generators below produce kinetic energy as people walk over it. The pressure from the walk causes the generators to vertically displace. This electromagnetic induction produces kinetic energy which helps provide electric power. The fact that it is situated on Bird Street, PaveGen has made the flooring to power the chirps of the birds. In recent news, Google collaborated with the UK based PaveGen, an energy harvesting pioneer to come up with something new for Berlin’s 2017 Festival of Lights. The event had taken place over a span of 10 days. 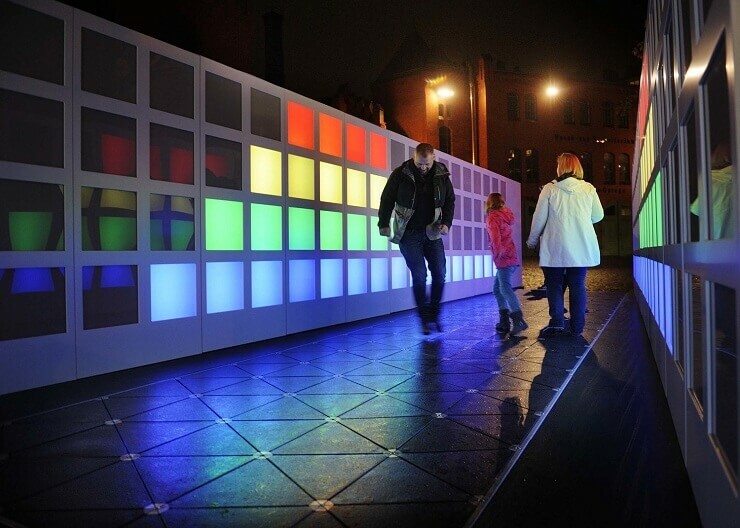 For the same, Google and PaveGen created an interactive energy-harvesting walkway and light show. They installed a smart floor along with 176 colored light panels. The installation makes use of V3 flooring. The particular flooring helps convert the kinetic energy generated from the footsteps into off-grid energy and data. The walking created an orchestrated lighting display. The wall became more responsive after the frequency of people walking on it created more energy. Based in the United Kingdom, PaveGen has been into customising multifunctional flooring systems. Found in 2009, Laurence Kemball-Cook, a graduate in Industrial Technology and Design from Loughborough University is the mastermind behind this venture. PaveGen creates flooring systems that convert the movements of the people on the tiles. This helps generating vertical displacement of the electromagnetic induction generators. This in turn results in a rotational motion which generates off-grid electricity. PaveGen has surely paved a new route to not only a healthy but a pollution-free environment after coming up with this kind of energy-harvesting array. This not only makes people use less vehicles for conveyances but also generate electricity with a renewable source that can make cities more brighter and less polluted.